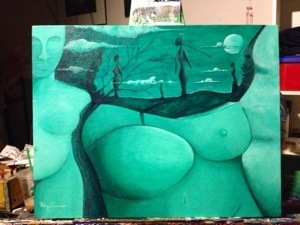 Completed~Green Girl | Expressions of my life - An evolution of art. 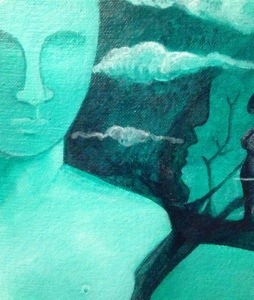 I don’t want Green Girl to fall along the wayside as so many of my previous surrealistic pieces have in the past so I’m calling her completed. For better for worse for whatever reason I don’t feel I have anything else to give her. 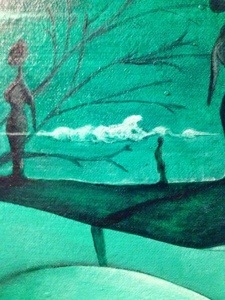 So to the world I give you Green Girl. A story of history and birth. A story of strength and restriction. A message of perseverance in the face of subjectivity and objectivity. When the dust settles are we not all just made of simple bits that when composed into a larger picture create a thing of great beauty and respect. Thank you very much, I appreciate that kindly. This is a very intriguing painting. So many nuances that aren’t noticed at first. Extraordinary, Benjamin. I love it. Ah my friend giant hugs( gently) to you. Thank you very much. That is another I would love on my wall to contemplate. She’s one of my all time favourites. 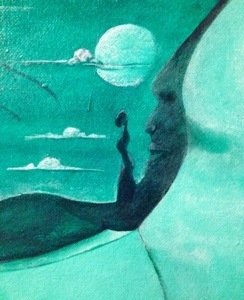 Surrealism is one of my favourite styles but often find it is not what I’d decorate with, but this one is different. I like it a lot. Thank you very much R.
Thank you so much my friend. I’m humbled as always by your kind words and support. I wish Dali,Picasso and I could have dinner. Perhaps some day. 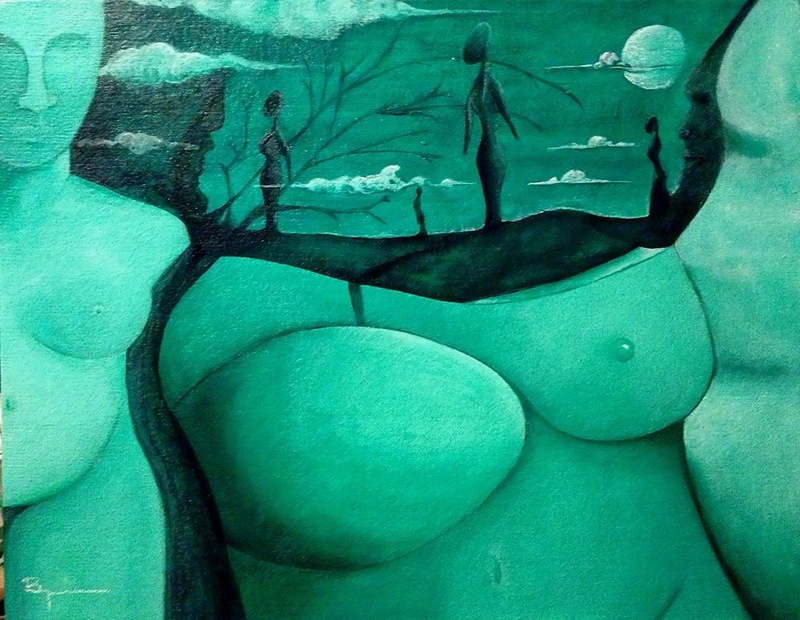 It’s only 14×18 Green Girl is she petite. 😀 totally just made me smile so hug lol. Im so happy and delighted to hear that you decided to not change the Green Girl any more.. She was and is perfect. Such a powerful painting. I sat with her last night and had a long listen to what she had to say. Then decided to add some very small highlights and be done as I had nothing left to offer her. I think she’s beautiful. I agree. I think she is perfect. P.S will she be on sale again? Thanks!! I like her too. I like green girl, lots! Congratulations! Thank you so kindly, I’m often very shy about my surrealism I tend not to even want to show them outside the home. I’m being brave. Darling don’t …be it’s truly brilliant!!! I have no words to express what I feel when I gaze upon her. I have a great feeling of tranquility and awe. I think that is the best way to describe it. Very moving and beautiful! Thank you very very much, I’m always very nervous about showing my surrealism to anyone. Pingback: The Day, some paint and a tune. | Expressions of my life - An evolution of art. Pingback: Framed~ Autumns Passing | Expressions of my life - An evolution of art.